Avoid all taxes on savings bonds with the right strategy. 2. Can Grandparents Buy EE Savings Bonds for Their Grandchild's Education? 3. Can I Donate Saving Bonds to a Charity & Avoid Paying the Accrued Interest? 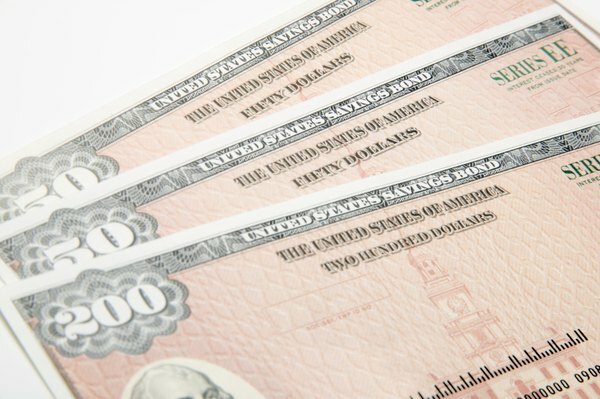 U.S. savings bonds are a relatively safe way to strengthen your financial future. These bonds come in two types. Series EE pays a fixed rate of interest for 30 years. Series I also pays interest for 30 years, but the rate is partially indexed to inflation. Savings bonds are designed to provide several tax-saving features. You can avoid paying any taxes on your savings bond interest by adopting an appropriate strategy. Savings bonds are free from state and local taxes. You don’t collect your interest until you redeem your bonds, which allows you to postpone taxes until redemption, though you can choose to pay taxes every year on the interest accrued. The government taxes bond interest at your marginal tax rate. If you earn more than $200,000 as an individual or $250,000 as a couple, you must pay a 3.8 percent Medicare tax based on your investment income or the amount of adjusted gross income that exceeds the noted thresholds. Savings bond interest is included in your investment income for purposes of figuring your Medicare tax. You cannot redeem savings bonds in the first year of ownership and will be assessed three months' interest if you redeem them within the first five years. If you purchase your savings bonds through a Roth individual retirement account, you will not have to pay any taxes when you redeem the bonds, subject to certain conditions. The Roth IRA must be a self-directed IRA and under the control of a custodian or trustee. You must instruct the trustee to purchase the bonds from the U.S. Treasury for your IRA. The Treasury registers the bonds in the name of the trustee institution and under its employer identification number. If you hold the bonds in the Roth for at least five years and do not redeem until you are 59 1/2, the bond proceeds will be tax free. If you use savings bonds to pay for qualified higher education expenses, the IRS will waive your tax bill. You must be at least 24 years old when you buy the bonds. If you plan to use the bonds for your child’s college costs, the Treasury instructs that you buy them in your name or jointly with your spouse and make the child the beneficiary. You must incur the education expenses for tax purposes in the same year that you redeem the bonds. The exclusion covers tuition and fees but not room, board or books. The income limitations on the exclusion apply to the year the bonds are redeemed. For 2012, the limits on modified adjusted gross income kicked in at $72,850 for single filers and $109,250 for couples. If you donate the proceeds of your savings bonds to a tax-exempt charity in the year of redemption, the tax deduction will offset the tax on the bond interest. You can also do estate planning with savings bonds in a number of ways to avoid taxes. For instance, if you will the bonds to a charity, neither your estate nor the charity pays taxes on the bonds when they are redeemed after your death. Estate planning can be complex, and you should consult a lawyer or financial planner before proceeding down this path. Are Government Savings Bonds Tax Deductible?